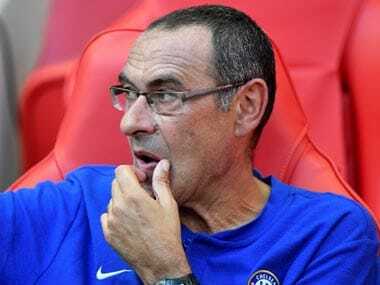 Rome: Chelsea are closing in on naming Maurizio Sarri as their new head coach and signing Napoli midfielder Jorginho, the Serie A club's president Aurelio De Laurentiis revealed on Wednesday. 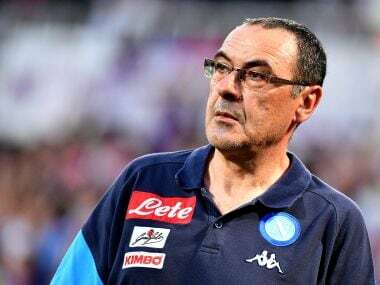 The Blues have been chasing Sarri, who is still under contract with Napoli despite Carlo Ancelotti becoming their new coach, as the replacement for Antonio Conte following a disappointing Premier League title defence. They finished way behind champions Manchester City and failed to qualify for the Champions League. 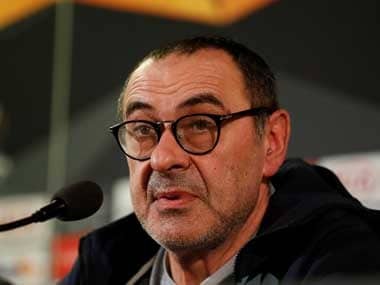 "Let's say that the Sarri affair is nearing its conclusion," De Laurentiis said at the official unveiling of Ancelotti on Wednesday. "My lawyers have submitted papers to his lawyers. It depends on him." De Laurentiis also said that Jorginho would be waiting for Sarri, 59, should he arrive in London. 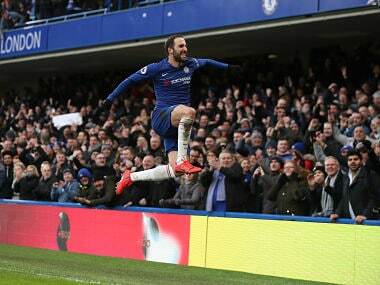 The cinema mogul disclosed that he had cut a deal with Manchester City for the midfielder over two weeks ago but Chelsea had offered a higher salary and the Italy international preferred to move to London rather than Manchester. Jorginho was a key player in Sarri's Napoli team, but De Laurentiis said that he "wasn't essential" for Ancelotti. 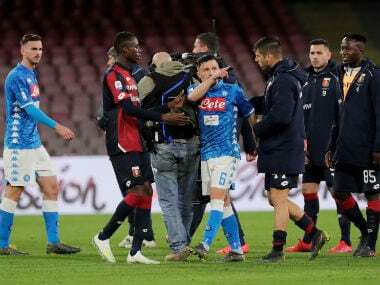 Sarri won plaudits for the expansive passing football his Napoli team played in the three seasons he was in charge, but he failed to halt Juventus' dominance of Serie A and ended his spell in southern Italy without a trophy. They eventually finished four points behind Massimiliano Allegri's side — who on Tuesday announced the signing of superstar Ronaldo — despite accumulating a club record points total of 91. Conte's departure comes after winning the Premier League title in 2017 and the FA Cup last season. However the lack of a top four finish and criticism over Chelsea's stodgy football did for the former Italy coach.